MEET A REAL SURVIVOR, CLICK ON "Meet the Owner" ABOVE!! 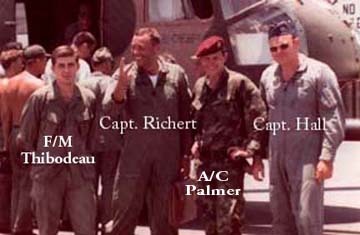 The most popular story on this site: "Rescue in "Nam" is about the A-1 pilots and Jolly Green crew members, heroes all, that rescued LT. Gary Bain, from the jungles of Laos after being shot down and having ejected from his disabled F-4 Phantom. 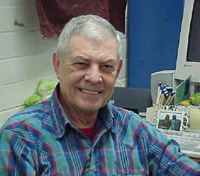 For those that enjoy reading, visit "Famous Author" Darrell Bain, e-book Author of the year 2005. "Cheating Death" by George Marrett is a riveting account of the pilots that flew the A-1 Skyraider during the Vietnam War. Their courage under incredible odds of being shot down reflects the ultimate in bravery and sacrifice as they rescued hundreds of downed pilots throughout South East Asia. Click on "Book reviews" above for the full review. "The Rescue of Streetcar 304" by Kenny Fields is one of the latest books I have read. This is a true story of incredible courage. Follow in Kenny's footsteps as he takes you on a nail-biting forty hour journey through the jungles of Laos after having been shot down on his first combat mission. For more on this remarkable story click on "Book Reviews" above. "Celebrating 25 years of adventure"
The following videos are all Video Explorers� productions and are family oriented and well suited for all ages. To celebrate our 25th year of adventure we are now offering the fourth video free if you purchase any three. Thank you. Shop securely and confidently at Video Explorers�. When you select "Add to Cart" or select "Buy Now" you will be directed to a secure PayPal transaction web site. There, most credit cards as well as PayPal will be accepted for purchase. We hope you have a pleasant shopping experience. DVD "The Creatures of Bloody Bay" Filmed at Little Cayman also and a finalist at the Houston International Film Festival. Tremendous action and beautiful colors will keep you spellbound as the camera takes you underwater on the most sought after dive destination in the Caribbean. Length: 30 minutes. 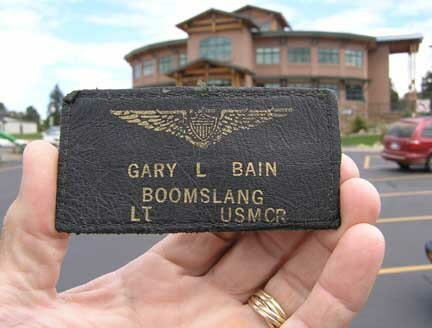 My name tag returned, 37 years after being rescued from the jungles of Laos!! After having been shot down while flying the F-4 Phantom on a combat mission in Vietnam in 1969 I was rescued by the Air Force Jolly Greens. Dennis Palmer was the PJ on that mission. Dennis and I met for the first time since that event, in August of 2006 in Colorado while I was vacationing there with my wife at the M Lazy C Ranch. My wife, Barbara, and I arrived at the M-Lazy-C Ranch on Friday the 30th of June, 2006. We are in our Damon Daybreak 2006 motor home and trailered with us our two American Paint horses, "Dream" and "Angel". The ranch is located just west of Colorado Springs at Lake George and thus far has exceeded all our expectations. The staff here has been more than hospitable and helpful and the scenery is just incredible. Follow us along as we explore the countryside, the old mines, the historic sites and perhaps we'll even find some gold!! For the complete story and photo gallery just click here or on the "M-Lazy-C Ranch" nav bar above. Follow along as we head to the OK Corral in the Superstition Mountains and to Rich Hill near Congress Arizona in search of gold nuggets and some incredible trail riding!! We'll be traveling in a 33' Damon Daybreak motor home and pulling a two horse trailer. With pit stops in Tucumcari and Deming we should arrive at the OK Corral on the evening of the 15th of February. For the story and pics just click on "The Big Adventure" here or on nav bar above. SHARE YOUR ADVENTURES WITH THE WORLD!! FREE MEMBERSHIP !! Our first Real Videos are here now!! Click on "Videos" above to see "Stranded in the Pacific", "Purple Martin Rescue", "Horses", "Vacation From Hell", "Lucky Dog" and other attractions. Visitors from Darrell Bain web site "Welcome and enjoy" and I hope you find a real adventure here!! 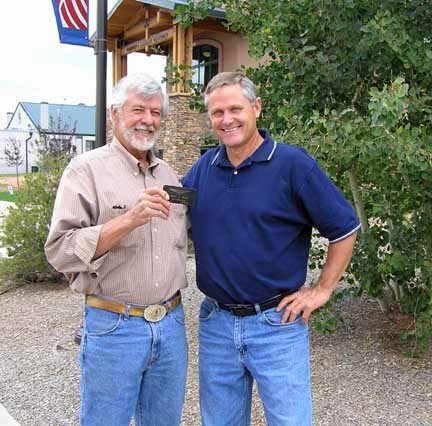 April 1st, 2005-My latest Gold prospecting adventure, or "Misadventure" - To read about my trip to Rich Hill near Congress Arizona and meeting Elly Loftin, the owner of the gold claims, click on "Gold Prospecting" above and then click on "Rich Hill". SPECIAL NOTICE: Available now, a newly discovered and never before published autobiography of Gilbert Butler. These documents were provided to Video Explorers� by Dwight Butler and reveals the daily activity of Gilbert Butler as he enters the service during WWII and becomes a prisoner of war. This is a chilling and riveting account of him and his comrades-in-arms struggle of survival in the hands of the Japanese. A fascinating and compelling read for war buffs and history fans!! Click on "War Stories" above to view the text and pictures. Please, provide feedback after you read it-thanks. WAR STORY: The Son Tay raid, written by LtCol John Waresh. A riveting account of the attempt to rescue prisoners held by North Vietnam. Click on "War Stories" above to read Wareshs' personal account as he flew his A1 Skyraider during that mission. Award winning underwater videos available now. Check out our special offer for "Night Creatures of the Coral Reefs" and "The Creatures of Bloody Bay"
The Video Explorers� web site is hosted by catalog.com. We find them to be an extremely reliable web host with a professional and courteous technical support team. catalog.com has our highest recommendations. Should you desire to have your own free web site, please click through to catalog.com on the above banner ad. This will ensure that Video Explorers� receives the proper credit for your free web site. Thank you. Welcome to YOUR WEBSITE and a world of adventure!! The Video Explorers� concept is designed specifically for the video enthusiast, entrepreneur, adventurer, or armchair adventurer. We want you to share your videos, your talent, your music, your photography, your art and your books. To provide an opportunity for anyone to be able to produce, distribute and make a profit with their videos, photography, music, authoring or art. Also to provide wholesome entertainment to those who would just like to observe from the comfort of their home. To form a membership of video enthusiasts that have the desire to excel and make a profit while having fun!! To obtain a worldwide audience for the exclusive and unique videos that will be produced by future Video Explorers�. To create a vast library of cultural, historical and adventurous videos that will be made available to the public. To provide the necessary information to assist anyone from the novice to the accomplished professional in the production of videos. As well, stock footage, photographs, and licensed music will be made available to assist future Video Explorers� with their productions. To provide a means for the members of Video Explorers� to market their videos and other products to a world-wide audience. Non-exclusive agreements will ensure the members maintain the ability to market their own products in any fashion they choose. This web page, including domain name, the "Video Explorers�" Video Explorer�"trademark is available as an investment partnership opportunity. Contact webmaster@videoexplorers.com for more information. Send mail to webmaster@videoexplorers.com with questions or comments about this web site.